Siblings tend to be known for rivalries, and quite often, those who go into business together wind up in high-profile or ugly feuds. But for some, shared blood can yield both an unshakeable bond and a prosperous business. For these unique families, a depth of trust exists between siblings that can be difficult to engender with a non-relative. We spoke with Petra and Saskia Bergstein, a pair of sisters running a business together, to learn about their locally based company, the way their shared knowledge helps them thrive, and what advice they have for successfully running a company with a family member. courtesy of The Caviar Co.
For Petra and Saskia, the decision to go into business together was based on both their complementary skill sets and their mutual love of one exotic food. “We both had prior experience [with caviar], and we saw there was a gap in the industry,” says Saskia. “We decided to partner because we had different traits and qualities that complement,” Petra adds. San Francisco–based The Caviar Company has been thriving since it launched in 2015. Saskia brings the business savvy she developed while running a small accounting firm, and Petra offers past caviar purchasing experience. Together they’ve brought the company to a place where they’ve been able to add two other non-family members to their growing team. While of course Petra and Saskia have known each other their entire lives, their product hardly runs in the family. “We grew up in West Texas, so fresh fish or seafood isn’t something that’s readily available,” Saskia says of her landlocked hometown. In addition to working together, Petra and Saskia also live together. “It’s a lot of together time,” Petra admits, but both agree it’s been a hugely successful venture. “Working with a sibling, the benefit is you can be very out-front, and the downfall is that you always say what’s on your mind,” Petra says with a laugh. Both sisters agree that, while they’ve always gotten along, going into business together has significantly improved their communication skills and made them even closer. The sibs would never imply that their working relationship is perfect, but that doesn’t make it any less opportune. Running a family business does not necessarily run in the family: While Petra and Saskia’s father advises them, they control their operation independent of any other relations, including their other siblings. Thinking of starting a business with a sibling? Petra and Saskia’s advice: communicate often, establish clear patterns for working together, and trust one another. Most of all, they stressed the importance of patience when you’re working so closely. “Be patient with each other,” says Saskia. “Learn how the work personality and the individual personality are not always the same. Learn how each other works. When you become coworkers and relatives, you have to understand their methods.” This understanding takes time — most people know their siblings’ emotional depths, but discovering their professional dimensions requires a different kind of closeness. Visit some of the oldest heritage families behind food & drinks here. To sip 5 distinguished drinks inspired by heritage and history, click here. For stories and wisdom from Edoardo Branca, go here. To read about chefs preserving family traditions through food, go here. 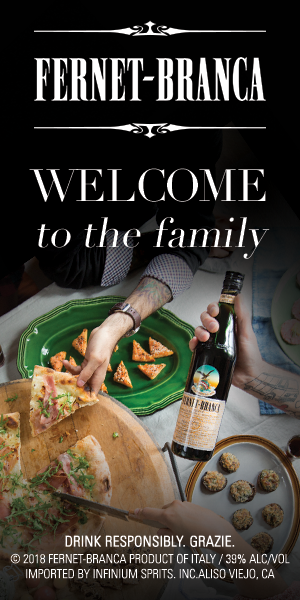 To discover more distinctive culture, try Heritage | Fernet-Branca .